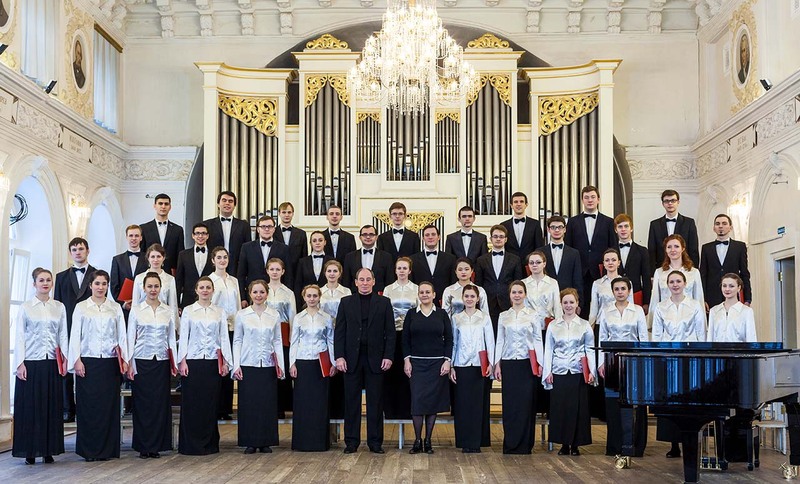 Mixed choir of Nizhny Novgorod Conservatory is a training and concert collective consisting of Conducting department of 1-5 courses students. The choir activity combines various tasks. From one hand, choirmaster’s practice of Conducting department students and state exams preparation programs of graduate students, from the other hand – preparation of one’s concert programs of choral, cantata and oratorio music from the world music repertoire and performances at various concert venues of Nizhny Novgorod and outside. Between the most significant events in recent years the touring trip to the cities of Ivanovo, Yaroslavl, Rybinsk, Vologda (2008); concert at Republican central concert hall in Kazan (2009, 2013); solo and collaborative performances of “Demestvennaya liturgy” by A. Grechaninov and C-moll mass by W. Mozart with Kettwiger Bach-ensemble in Essen, Germany (2010), performances at Nizhny Novgorod phylharmony (2013). There were concerts at Classical music center (Vladimir), Small Hall of Moscow International House of Music in 2014, V. Popov Academy of choral art, Great hall of Moscow state conservatory, Great hall of Moscow International House of Music in 2015. Mixed choir of Nizhny Novgorod Conservatory is a winner of L. Sivukhin choral festivals diplomas, Sheremetev choral assemblies, Rybinsk choral festival dedicated to 100th anniversary of V. Sokolov birthday, an active participant of annual All-Russian competitions of conductors-students of secondary special educational institutions. Art director and main conductor is Boris Markus. 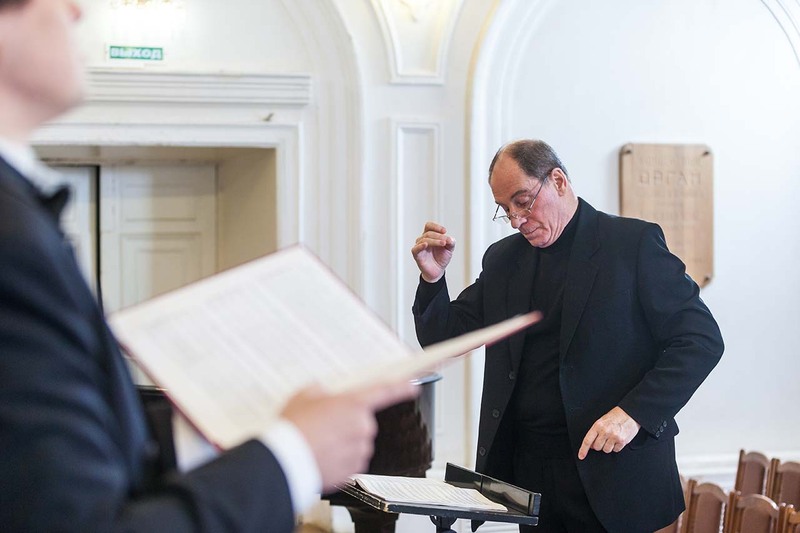 Boris Markus is an associate professor of Choral conducting department, dean of M. Glinka Nizhny Novgorod State Conservatory. He’s the art director of Mixed choir of Nizhny Novgorod Conservatory since 2006.